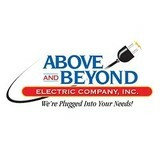 At Above and Beyond Electric, we provide electrical and plumbing services to residential and commercial clients. We offer upfront pricing, so you will not have any unexpected costs at the completion of the job. We are a licensed, bonded, and insured company. 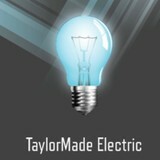 If you are looking for a professional electrician, please call us today! In a world where the competition regularly claims to be #1, it’s difficult to differentiate and build your own identity. Difficult, but not impossible. Saying that... we provide quality work better than the rest cause we do it best. 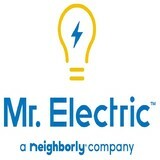 Full-Service Premiere Electrical Contractor in Memphis. 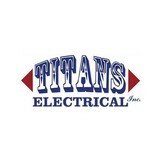 Titans Electrical, Inc. has years of experience in providing high-quality electrical services for businesses and residences in Memphis and surrounding areas. Whether you are in need of electric panel upgrades, rewiring, or need an EV charger installation, you can count on our team for prompt and efficient service. Call us today to learn more about our unparalleled electrical services! I am a low voltage installer. Television Mounting, Network Cabling, home theater. Etc. "We're plugged into your needs!" What do licensed Memphis electricians do? An electrical contractor plans, installs and repairs wiring in structures. He or she works closely with the home’s general contractor or remodeling contractor to determine the specific electrical needs for the project and to ensure that the wiring will meet Memphis, TN building codes. An electrical contractor’s job also includes installing and repairing fixtures, switches and other visible components of electrical systems. With today’s technological needs and advances, many electricians in Memphis, TN also are trained to install fiber optic and coaxial cables for electronic equipment. Certain electrical companies may design and install data systems and wire for security features such as alarms too. Some Memphis electrical contractors specialize in specific areas, such as HVAC, low-voltage appliances and systems and more, so be sure to ask about their training to see if it fits your project needs. Find a certified Memphis electrician on Houzz. 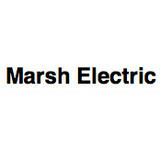 Narrow your search in the Professionals section of the website to Memphis, TN electrical contractors. Here are some related professionals and vendors to complement the work of electricians: Lighting Showrooms & Sales, General Contractors, Solar Energy Contractors, Heating & Cooling Sales & Repair.